Right now I am in the process of growing my hair back out. 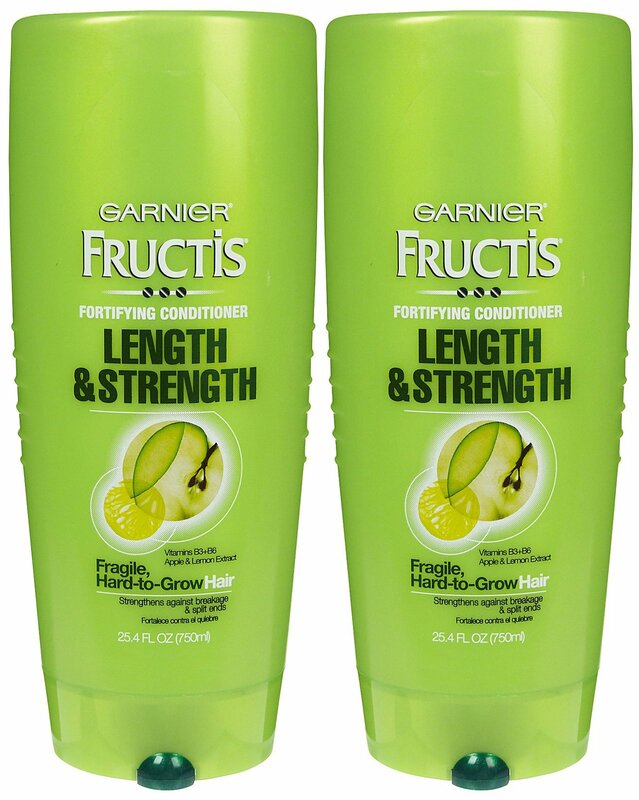 In my previous blog on my favorite hair products I mentioned "Garnier Fructis Fall Fight" Shampoo and Conditioner. I have found that this helps my hair grow, but I want the length of my hair to grow more. That is when I found this shampoo and conditioner. This is still from the Garnier Fructis brand. Before Garnier Fructis my previous hair products were Tresemme; Tresemme is still great, but I am in love with the Garnier Fructis line of products. Everyone goes through hair changes, well at least I do. It all started in my sophomore year in high school, but that will be in another blog post. This shampoo and conditioner is for "Fragile, Hard-to-Grow Hair". It also strengthens and grows the length of your hair, it helps defend against breakage, split ends, and dullness. This fortifying formula includes a blend of apple and lemon extract... the shampoo and conditioner smells go good! Also vitamin B3 and B6 are included. This products proves to have hair 5x stronger, helps hair to grow, and leaves it shiny. This is really good. I love and trust Garnier Fructis products and I recommend them to anyone! I will post an update on the progress of my hair. If you want check out my favorite hair product! The link is down below.